At a recent Bessemer Society event in Oxford, amongst discussions about new space, disruptive technologies and the cubesat revolution, one of the participants made the following observation. We have become increasingly reliant on the ever growing swarm of satellites that orbit our planet: navigation, communications, security, and the monitoring of everything from natural disasters to climate change. But turning that stream of critical data into high-value intelligence for decision makers is becoming big business: estimates for the booming Earth Observation (EO) market vary from between $8.5bn to $15bn by 2026. One company in the vanguard of the EO revolution is Harwell-based Rezatec. Rezatec take data from a wide range of sources, and use geospatial analytics to transform it into something called ‘landscape intelligence’ – usable information on forests, crops, water catchments and even city planning. 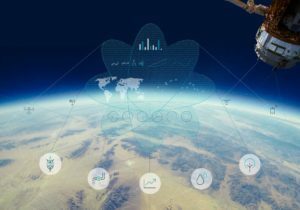 Increasing numbers of governments, NGOs, utilities and businesses around the globe use this intelligence to do everything from stopping the spread of crop diseases to better safeguarding the security of water supplies. 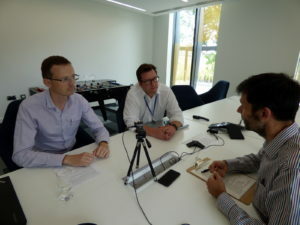 We sat down with Chief Operating Officer Philip Briscoe and Chief Technical Officer Andrew Carrel to better understand what Rezatec does and why Earth Observation science is becoming so critical: from improving crop yields to making our cities more sustainable. It seems as if Rezatec use almost every cutting-edge area of science and technology to bear on this data layer: data analytics and machine learning, climate science and biosecurity. 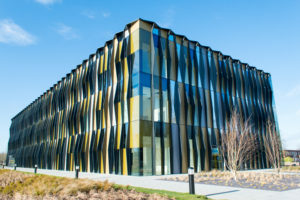 It’s genuinely exciting and Rezatec are growing fast, winning awards, and recently moved into a spanking new HQ building on the Harwell Campus (‘Quad One’). 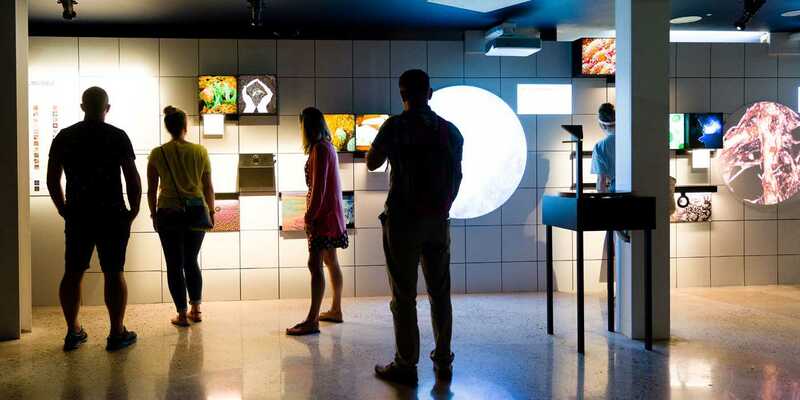 This Autumn, Rezatec joined forces with the European Space Agency (ESA) in contributing to the Invisible Words exhibition at the Eden Project.